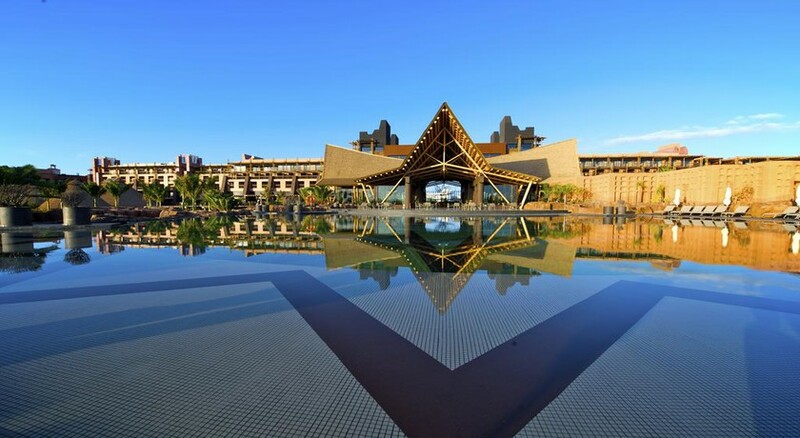 Located on Gran Canaria’s sun-soaked southern coast, Lopesan Baobab Resort is a peaceful, purpose-built hotel ideal for families and couples alike. Explore the shopping centres featuring high-end boutiques and designer labels, and an assortment of stylish restaurants and bars serving cuisines catering to everyone’s taste. 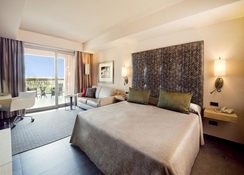 Maspalomas is a short distance away with a stretch that connects to Meloneras’ sandy beach to create a vast stretch of sunbathing bliss. 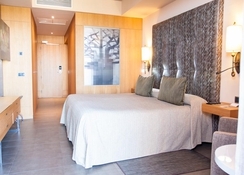 Lopesan Baobab Resort's 677 spacious rooms and suites are an impressive blend of modern design and equipment with a touch of African character. Soft brown shades give the rooms a distinctive feel, creating a unique and comfy atmosphere. 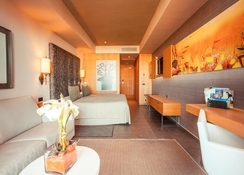 A variety of rooms are available here, from comfortable standard and deluxe double rooms, from spacious family rooms to luxurious junior and senior suites. The rooms come with a wonderful view of the azure blue Atlantic, the fascinating dunes, the palms of the oasis, the gardens or the island's mountain backdrop. There are two buffet restaurants available at Lopesan Baobab Resort with an African touch. The food served here is from around the world, while guests can also enjoy weekly African nights during which you can try traditional African cuisine. Along with the buffet, you can get another taste of Africa at the Akara restaurant, serving delicious authentic dishes (reservations apply). In addition, there’s the poolside grill restaurant serving al fresco a la carte lunches. Lopesan Baobab Resort has a wide range of activities for the guests. There’s a selection of bars to choose from. The safari lodge-themed bar has a live band that plays African music. Kids get a mini-disco every night before the main show, while sports enthusiasts can enjoy volleyball and table tennis court. There is also an 18-hole golf course, about 3km down the road. You will find 7 big pools in the gardens, plus two for kids. One of the key attractions is the lagoon-like pool with two artificial beaches. Additionally, there is a lazy river and a cave zone with rocks and beautiful waterfalls. Golf course nearby with discounted fees for guests.